Downer is an ASX 100 company that provides comprehensive engineering, design, construction, maintenance and management services to the infrastructure, energy and resources sectors across Australia, New Zealand and the Asia-Pacific. Downer has been part of the Hunter region for more than 100 years and has played a key role in the Hunter’s manufacturing industry. Of the Group’s 21,000 people, nearly 1,000 of the team are providing critical infrastructure services at key locations throughout the Hunter Region. One of the Group’s largest projects, the Waratah fleet PPP, is currently being delivered out of Downer’s Rail Manufacturing facility at Cardiff. The project is for 626 new passenger cars for the NSW Government, providing a significant boost to the Hunter economy and confirming the Hunter Region as the rail manufacturing centre of NSW. This project is the largest passenger train order in Australian history and is generating more than 500 jobs and significant apprenticeship opportunities in Newcastle and the Hunter. This is the 5th year the Group has been a proud sponsor of HMA . For more information visit www.downergroup.com. 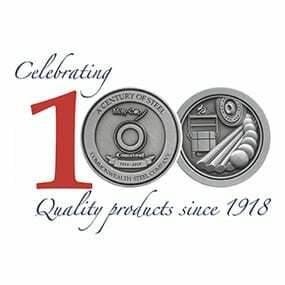 In March 2018, the Commonwealth Steel Company Pty Ltd celebrated 100 years of manufacturing at the Waratah site. The ownership of the Commonwealth Steel Company has evolved through mergers and acquisitions, culminating in the formation of the Moly-Cop Group in 2011. The Moly-Cop Group is a global market leader in the production and supply of grinding media with operations in Australia, Indonesia, Chile, Mexico, Peru, Canada and the USA. Strategically located around the world, Moly-Cop services the growing global mining industry particularly in copper, gold and iron ore sectors and provides the product quality, supply assurance and technical support that grinding operators now demand. Moly-Cop has built a strong reputation over many years for outstanding service, industry knowledge and trusted supply; producing high quality products with maximum durability, designed to resist wear and deliver exceptional performance to mining assets. The Moly-Cop site at Waratah is a fully integrated operation, from the processing of scrap metal in the electric arc furnace to the end products of grinding media and rail wheels. The Comsteel range of Rail Products is manufactured at the company’s Moly-Cop manufacturing facility at Waratah, Newcastle. The company was established in 1918 to service the growing Australian rail transport industry and has operated continuously from the Waratah site. The Comsteel brand is recognised as an industry leader in high performance rail wheels, axles and wheel sets, and has the ability to deliver its Comsteel range of products to both domestic and international markets. Moly-Cop continues to believe that the commitment, capability and skill of its workforce that has driven the business for 100 years, will ensure a strong future well beyond 2018. BAE Systems Australia offers the Australian Defence Force (ADF) and security customers total capability in vital areas such as through-life support, security, logistics and systems integration. For more than 60 years, we have been designing, integrating and maintaining systems for the ADF. A leading provider of total aerospace capability, we offer aerospace systems, integration, sustainment services and training solutions to defence, commercial aviation, security and other agencies. We work hard to maximise Australian industry involvement in all of our projects and employ more than 4,000 people in urban, regional and remote locations across our country. Bridon-Bekaert Ropes Group (BBRG) is the world’s premier supplier of mission-critical advanced cords and ropes. As a leading innovator, developer and producer of high performance ropes and advanced cords globally, the Group provides superior value solutions to the oil and gas, mining, crane, elevator and other industrial sectors. Bekaert Ropes Group has a global manufacturing footprint and employs approximately 2,500 people worldwide. Bridon-Bekaert Ropes Group (BBRG) Australia has a long and proud history of rope making in Australia, with over 90 years’ experience at the Mayfield East site as a trusted manufacturer and supplier of reliable rope solutions for Mining, Construction, Marine, and other industrial applications including Road safety barriers. Davies Collison Cave (DCC) has beem supporting the growth and development of innovation in the Hunter for over a decade. Providing expert advice and services for all aspects of intellectual property (IP), our professionals have the experience, commitment and a broad range of engineering, science and technology backgrounds to ensure your IP is protected. For a complimentary initial consultation, please contact Damon Henshaw on (02) 4960 8366. Helloworld Business Travel Newcastle is a specialist department of the Hunter Travel Group (HTG). HTG is a multi-award winning travel agency group, the largest branded member of the Helloworld Travel Network, and one of the largest privately owned and managed travel agency groups in Australia. Commencing operations in 1999, the Hunter Travel Group (HTG) began with one office in Toronto, NSW. And we are now a team of over 180 travel professionals working in 25 locations in the Hunter Region, NSW, TAS, VIC, WA, QLD, and ACT. Our business travel team is supported by specialist groups & Events, Leisure & Cruise teams. The travel management team oversee all areas of our travel services, helping your business to understand, control and manage your travel expenditure. As a partner of the HMA we do offer an exclusive fare advantage program for HMA members, and can tailor a solution to suit your business needs offering both an Online booking solution and the backing of a dedicated team of experienced travel advisors. KM&T: Knowledge, Management and Transfer are a worldwide business improvement consultancy specialising in innovative business and operational performance improvement solutions. KM&T Pty Ltd was established in 2005 and we are fast approaching our 10th anniversary. In that time we have had a consistent footprint in the Hunter Region working within the Rail and Mining industries to support companies such as Downer Rail, Yancoal and Sandvik. The hands-on, sleeves rolled up approach that we are renowned for enables us to engage the shopfloor and middle management to implement sustainable change by creating internal capability within an organisation. We also recognise that the right business improvement solution must be designed and deployed in a customised manner to meet each client’s specific needs and at a pace which is sustainable. Our most notable achievement in the Hunter Region is our long-term partnership with Downer which includes supporting the successful delivery of the Waratah Train Project out of Cardiff. This project has significantly boosted the Hunter economy and established the Cardiff facility as the rail manufacturing centre of excellence for NSW. The Nupress Group has a “First Class” focus on business development and sustainability through investment in our people, our manufacturing technologies, our quality and our customer service. Our Toronto office manages the North American customer base with our Newcastle Head office and manufacturing facility leading the way. Our People – A “First Class” commitment to our people through development, advancement, opportunity, safety and training. Our Manufacturing Technologies – “First Class” implementation of “best practice” manufacturing methodologies through our commitment to the upgrade and technological advancement of our manufacturing facilities. Our Customer Service – “First Class” customer service embracing clear communication and ensuring our client’s expectations are our key focus. Our Quality – “First Class” focus on continual improvement of our people, our manufacturing technologies and our customer service abilities. Quarry Mining is an Australian manufacturer and supplier of drilling consumables to Australia’s coal mines and tunnel infrastructure projects. Over the past 30 years, Quarry Mining has built a reputation for consistently delivering a precision made and hardwearing product. All our products are manufactured using only the highest quality steels, tungsten carbide and PCD available. We provide the highest quality Australian made product, and are a company that continually invests in Research and Development to ensure our clients have access to the most up to date drilling technology available. We place a strong focus on the continual improvement of products aimed at making very real gains in extending product life, increasing productivity, reducing costs and making mining safer. To date we have a list of products that achieve these outcomes and that are exclusive to Quarry Mining. Our commitment to quality is backed up by a customer service commitment that is unequalled in the industry. We understand that each project has its own specific solution. Quarry Mining’s team of drilling experts are available to go on site, providing technical advice, and customise a drilling solution that meets the exact requirements of the job. For more information visit www.quarrymining.com. R&R Murphy Pty Ltd was established in 2004 by Rod & Rose Murphy and is an award-winning company with a reputation for being a quality provider in metal fabrication and manufacturing and specialises in a range of industries including Defence, Mining, Architecture, Water filtration and Transport Maintenance. We have a highly skilled workforce with our capabilities and skills varying from light sheet metal work in stainless steel, aluminium and mild steel up to heavy fabrication in the same materials. We have a well equipped workshop with 3000 m² of workshop floor, we also hold triple ISO accreditation for safety, quality, and environment, we also follow the lean manufacturing principals and maintain a fully integrated Business Management System. We provide a flexible, adaptive and innovative service, working closely with our clients to create and design the best solutions for their needs. We take pride in our people, our culture and our relationship with our clients and suppliers. The Measured Marketer (TMM) is a boutique consultancy firm providing high-end strategic marketing and digital marketing advice and implementation. TMM supports businesses across a range of industries including Manufacturing, Property, Aged Care and Professional Services. Through our relationship with the AusIndustry Entrepreneurs’ programme, TMM has developed additional experience and specialist knowledge that is designed specifically to support businesses in Advanced Manufacturing, as well as other related industries such as Engineering Services and Information Technology. The University of Newcastle’s Faculty of Engineering and Built Environment is a research intensive faculty with an international reputation for excellence and a strong and vibrant research culture and dedicated to creating and strengthening partnerships with industry and other significant institutions / organisations to maximise research outcomes. Whiteley Corporation is the leading global innovator in medical and industrial cleaning products. Whiteley Corporation is committed to world leading research and innovative product development in the field of hygiene, cleaning and infection control products. With over 80 years’ experience in manufacturing, Whiteley Corporation has built a reputation for exceptionally high standards of research, product innovation and development, distribution and technical support on a global scale. Whiteley Corporation’s diverse range of specialty products are categorised under two divisions; Whiteley Medical and Whiteley Industrial. For further information contact our Product Support Hotline on 1800 833 566 or email whiteley@whiteley.com.au or visit the website at www.whiteley.com.au. Hunter Business Publications is the leading specialist print information source for the Hunter business community. It keeps busy Hunter business people informed. The Hunter Research Foundation (HRF) Centre at the University of Newcastle conducts a regional program of academic research that is unique in Australia. With the Hunter as an exemplar, the focus for the HRF Centre is on developing and sharing deep knowledge and insight on the dynamics of regions in transition. It provides research and analysis that builds economic and social strength in cities and regions undergoing profound change. The Centre is recognised as a leader in delivering engaged research through outreach and engagement. That includes, for example, regular attendance of more than 250 significant regional stakeholders in business and government at the quarterly economic breakfasts in Newcastle. The HRF Centre contributes to strategy and policy development by delivering insight and analysis to key industry and government stakeholders in innovative ways. It shares its expertise and findings nationally and internationally. McEwan and Partners are Chartered Accountants and Business Advisers established to assist business to achieve goals. We apply innovative solutions to innovative business – successful manufacturers think outside the square,and so do we. Contact us at info@mcewans.com.au. NCP Printing is a commercial print media company, with facilities in Sydney and Newcastle, specialising in providing innovative print solutions. Established for over thirty five years, NCP Printing is known as a leader in the Australian print market. NCP has an ongoing programme of commissioning modern plant, the latest in prepress print equipment and digital printing. Our in house support facilities include reproduction (with full digital direct to plate), finishing and bindery, forms management, packaging, logistics and computer print management. For more information visit www.ncp.com.au or call 02 4926 1300.